Also, Apple Pay glitches, Windows 10 2FA, free Xbox Music, Simpsons World, and the reality of using Ello. 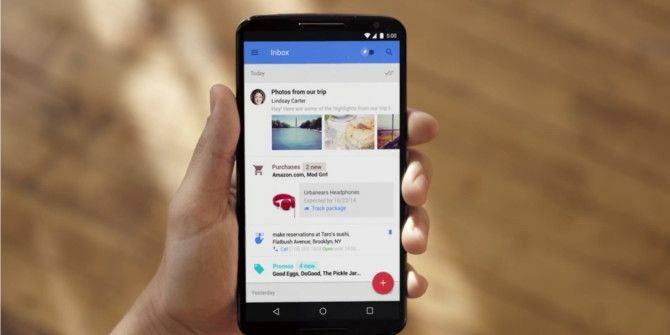 Google has unveiled Inbox, its attempt at reinventing email for the modern Internet user. Inbox is still just an email app which sends and receives the electronic mail all of us see too much of How to Deal With Inbox Overload and To-Do Lists in Emails How to Deal With Inbox Overload and To-Do Lists in Emails Email is not just communication, it also largely dictates your to-do list. Let's talk about the best tips to link the inbox to our productivity with Andy Mitchell -- the founder of ActiveInbox. Read More , but it presents those emails in a way Google believes better fits in with our current lifestyles. Inbox sorts your emails into bundles as soon as they come in, highlights key information contained within each message, and lets you set reminders or hide an email for a later time or location. Further details of how Inbox works can be seen on the Official Google Blog. Unfortunately, Inbox is initially being offered by invitation only. Google has sent out its first round of invites — supposedly to industry insiders 8 Essential Tech Influencers To Follow On Twitter 8 Essential Tech Influencers To Follow On Twitter Twitter continues to go from strength to strength, with more people using it to communicate with the world with every passing month. Sure, there are many people who enthusiastically join Twitter after being cajoled into... Read More and A-list tech journalists 8 Essential Technology Journalists To Follow On Twitter 8 Essential Technology Journalists To Follow On Twitter If you're reading this then the chances are you're a fan of technology. I would also hope, as a fan of technology, you're on Twitter by now. But who should you follow on Twitter? I've... Read More — with recipients able to invite other people. Impatient types can send an email to inbox@google.com to request their own invitation. Microsoft has opened its idea factory, The Garage, to the public. The Garage is an industrial space in Redmond, Washington, which has been open to Microsoft employees for six years. In that time, 3,000 employees have completed more than 10,000 projects, and Microsoft is now opening the space up to members of the public, at least online. The Garage now has a dedicated space on Microsoft’s website. The idea is to open apps up to the public while they’re still works in progress. 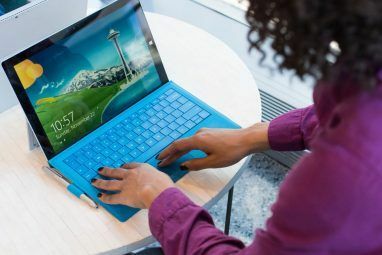 Microsoft gets free testing for possible future products, while members of the public get to feel like a valued part of the company rather than just customers to wring money from. There are initially 16 apps available to try through The Garage, including games, a music creation tool, and an anonymous social network. Crucially, these apps aren’t just for Windows, with Android, Android Wear, iOS, and Xbox One 5 Xbox One Myths Dispelled: Don't Brick Your Console! 5 Xbox One Myths Dispelled: Don't Brick Your Console! The web is full of myths and disinformation on the Xbox One. Not all of it is harmless though - some of the "helpful tips" you’ll find will actually end up irrecoverably bricking your console.... Read More apps included. Apple’s mobile payments system, Apple Pay Apple's Big Event: iPhone 6, Watch & New Wireless Payment System Apple's Big Event: iPhone 6, Watch & New Wireless Payment System Finally, the rumours are confirmed: two new larger iPhones and a smart timepiece known simply as the Apple Watch are on the way. Read More , which launched earlier this week alongside iOS 8.1, is experiencing some teething problems. Bank of America customers using Apple Pay, which lets iPhone users pay for goods using their iPhones, have been charged twice for some products they purchased in this way. According to CNET, a Bank of America spokesperson promised, “All duplicates will be refunded, we apologize for the inconvenience and are correcting this immediately.” Apple glossed over the issue, stating, “Apple Pay is off to an amazing start and customers are loving the easy, secure and private way to pay.” PR is fun, eh. “Windows 10 was your idea thanks to all your feedback so if you hate it you can only blame yourself” would make for a good tagline. 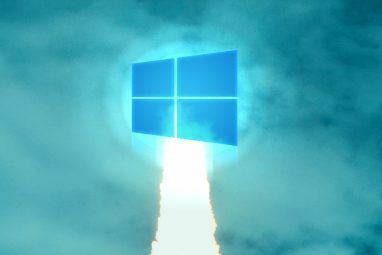 Microsoft has laid out its plans for baking tighter security measures into Windows 10. Two-factor authentication What Is Two-Factor Authentication, And Why You Should Use It What Is Two-Factor Authentication, And Why You Should Use It Two-factor authentication (2FA) is a security method that requires two different ways of proving your identity. It is commonly used in everyday life. 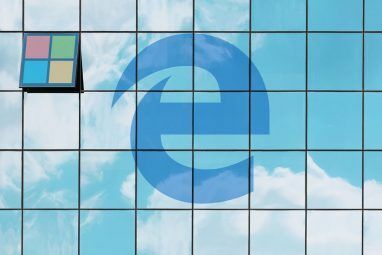 For example paying with a credit card not only requires the card,... Read More will be offered from the get-go, while Microsoft is working on an “architectural solution” to secure user access tokens. More security measures due to be introduced with Windows 10 are discussed on the Windows Business Blog. No free streaming on Xbox Music? Bad move. Xbox Music will continue on as a paid service, with an Xbox Music Pass costing $10-a-month in the U.S., and more elsewhere. 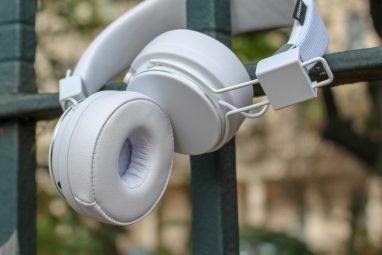 Which compares unfavorably to Spotify, which recently introduced family plans The iPad Is Dying, The Modular Smartwatch Arrives, And More... [Tech News Digest] The iPad Is Dying, The Modular Smartwatch Arrives, And More... [Tech News Digest] Also, Yosemite is spying on you, Spotify Family plans, jail time for 3D-printed guns, and the wettest selfie of all time. Read More with reduced rates for additional subscribers. Fans of The Simpsons can now stream all of the episodes ever made online at Simpsons World… if they’re in the United States and subscribe to a cable package that includes FXX. Everyone else can apparently FXXX off. And finally, we discover the reality of using Ello. Ello launched in March 2014 as an ad-free alternative to Facebook. It blew up in September when tech journalists decided they really liked this social network. Even our own Matthew Hughes got a little overexcited about Ello Meet Ello: The Hip New Social Network You Need To Know About Meet Ello: The Hip New Social Network You Need To Know About It has been said that when a social network makes a small change, it cause a schism, sending users fleeing elsewhere. They're heading to ello.co. Read More . However, a month on from the big explosion in user numbers, and no one is really talking about Ello. This video from BuzzFeed may go some way to explaining why. Could it be that Facebook has succeeded 10 Reasons Why People Still Use Facebook [We Ask You Results] 10 Reasons Why People Still Use Facebook [We Ask You Results] The main reason people still use Facebook is because everyone else uses it. Go figure. Read More because of all the extra elements Ello has stripped from the user experience? Yes, yes it could. Is Google Inbox really that big of a deal? Is Microsoft sensible in opening up The Garage to all and sundry? Are you actively using Ello or are you, like me, still waiting for an invite? Explore more about: Apple, Email Tips, Gmail, Microsoft, Windows 10. I've noticed that Google seems to be like a lot of large tech companies (*ahem* Microsoft *ahem*) and they have many internal projects that seem to be completely ignorant of each other. The example that sticks out in my mind is the Google Voice/Calling from GMail situation. which also happened not too long before Microsoft bought Skype. Google Voice was simply a way to get a phone number that let you receive calls on any of your existing phone lines, be they landline, cell phone, etc. Shortly after this we got Google-powered voip service: integrated into GMail (Obviously the best place for it). This eventually got sorted out (kind of), but it seems to me that bundling these feature sets together from the beginning would have made much more sense. My suspicion is that Inbox is another project entirely seperate from the GMail team. They are launching it separately to see how people react, and if people like it, we might see more integration. Whether or not the GMail team is involved or not is irrelevant at this point. I really don't like some aspects of Google's vision for E-mail and messaging services generally, particularly in the way that Google seems to want everyone to flatten their experience. Gmail for Android insists on a threaded view that I despise and this new tool looks like an expansion of that idea. It remains to be seen if Google's Inbox can prioritize my interests properly but since it can't even get something so fundamental as my preferred presentation right, I'm not holding my breath. While I'm at it, I really don't want to collapse IM, video chat and SMS into Hangouts. I have a feeling that the natural progression of THAT will be to move that messaging into Google Inbox as well. If Google had stand-alone, not-web-based PC applications that somehow complied to existing standards for messaging without being monolithic suckfests (coughOutlookcough), I might feel differently about rolling all of those services up into one or two tools, but I don't want to be stuck with some isolated portion of messaging only available on one device or platform to the exclusion of others that I might be using. This seems to be the way it's going, but I tend to agree with you. It's a case of if it ain't broke, why fix it? As I am pretty happy with how email works right now and don't feel the need to augment what is a very easy task. What's the purpose of new Inbox app when all emails will still be present in Gmail only? If they only want to present it in a new way, then they could have updated the Gmail app itself. That's a good point. Perhaps Google ultimately wants Gmail to look like this, but they're testing the waters with Inbox before making wholesale changes to Gmail itself. "Microsoft Opens The Garage Idea Factory"
Is Garage where M$ keeps all its clunkers that did not meet the missions standards? Apparently M$ staff has run out of ideas. Now M$ will attempt to pick the brains of the general public. When they do glean an idea or two, I hope they give credit where credit is due. Your comment made me laugh... BUT I see this more as crowdsourcing ideas to see which ones are worth persevering with. That isn't a bad idea, really, as it could save Microsoft time and money being spent on things the general public just has no interest in. I'm glad you found my comment funny. "I see this more as crowdsourcing ideas"
As I said, M$ is picking the brains of the general public. M$ likes to "borrow" ideas from others, be it companies or general public. "things the general public just has no interest in." Based on its history, M$ has not been responsive to what general public is interested in. M$ "knows better" what the general public wants and needs. They implement changes and features they feel like implementing. Ow. That Ello video is brutal!